All Seasons Sales & Service team recognizes the importance of providing quality service to extend equipment life. All Seasons Sales & Service, LLC service department, we take pride in our jobs. Anybody can sell a product. We also sell service. We service every piece of equipment before you take delivery and we are there when you need additional service for your outdoor power equipment investment. 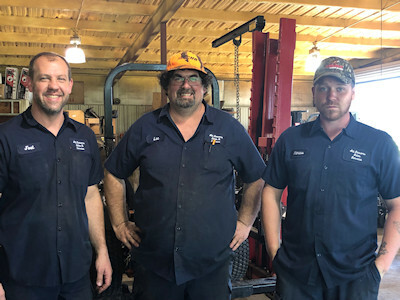 Our team of factory trained technicians recognize the importance of providing quality service to extend equipment life. With over 17 years of service experience in the industry and state-of-the-art diagnostic equipment we are able to offer the best outdoor equipment service in Central Louisiana. We get the job done right the first time. We at All Seasons Sales & Service back all of our quality products by offering our customers a full line of parts and service. 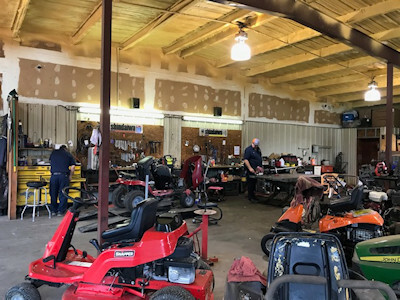 Just give us a call and we will pickup your equipment, service it with excellence and deliver it back to you or just stop by the All Seasons Sales & Service Factory Authorized Service Center located at 4515 Highway 28 East Pineville, LA 71360 or call (318) 445-2191. Call us (318) 445-2191 for more information.